The Burton [ak] Grid Half-Zip Hoodie is the ultimate lightweight layering top, perfect for climbing in the mountains with its incredibly versatile style. 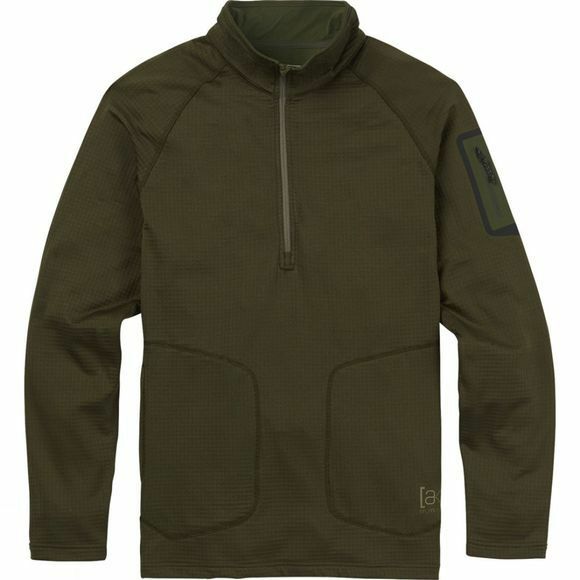 A centre front half-zip provides quick cooling as well as the Polartec® Power Dry® Grid Fleece which provides the ultimate in breathability and quick-drying performance for enduring comfort. It's even bluesign® approved for a cleaner conscience and features an articulated fit so it easily slides under any jacket but looks equally good when worn on its own.